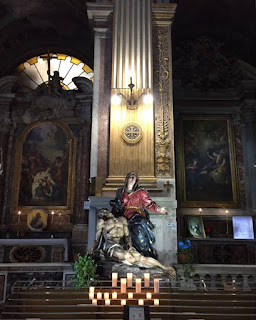 In 1519 a fire completely destroyed the medieval church of San Marcello, all that miraculously survived the blaze was a wooden crucifix. 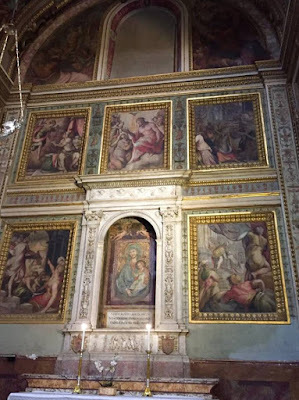 Pope Leo X commissioned Jacopo Sansovini to quickly rebuild the church which was dedicated to Pope Marcellus I, the church's patron saint, and a chapel was purposely built to hold the 15th century crucifix that was saved. 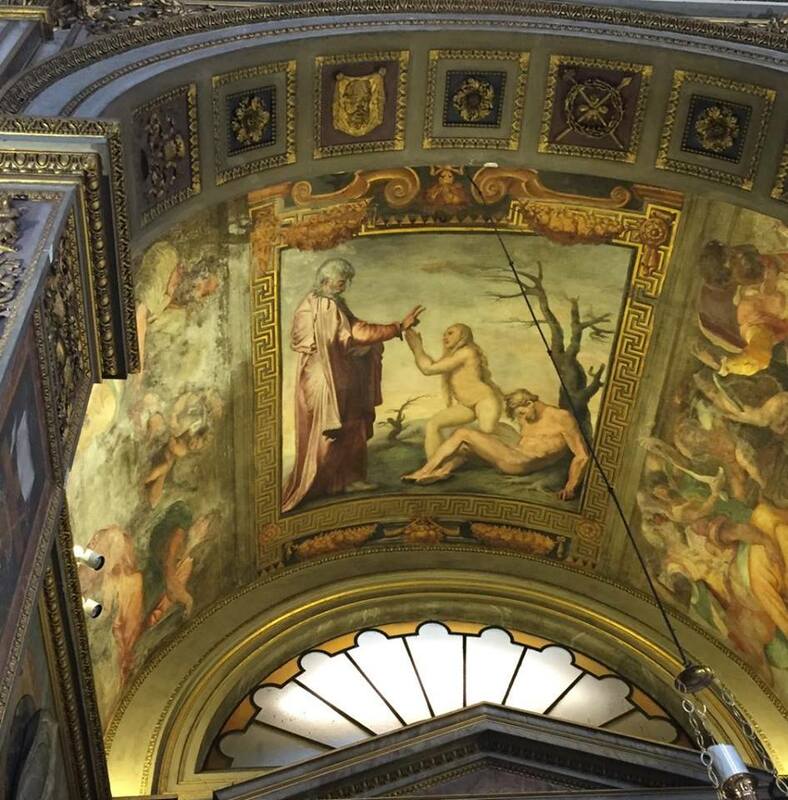 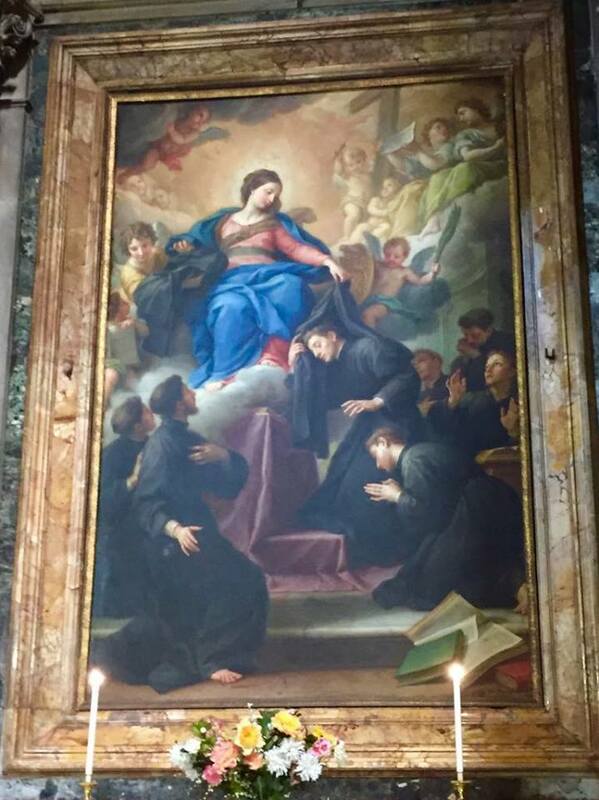 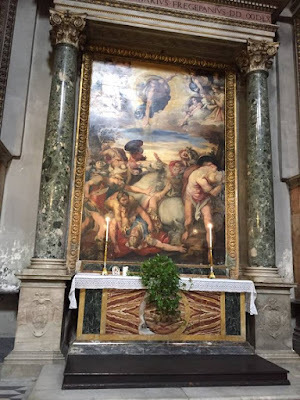 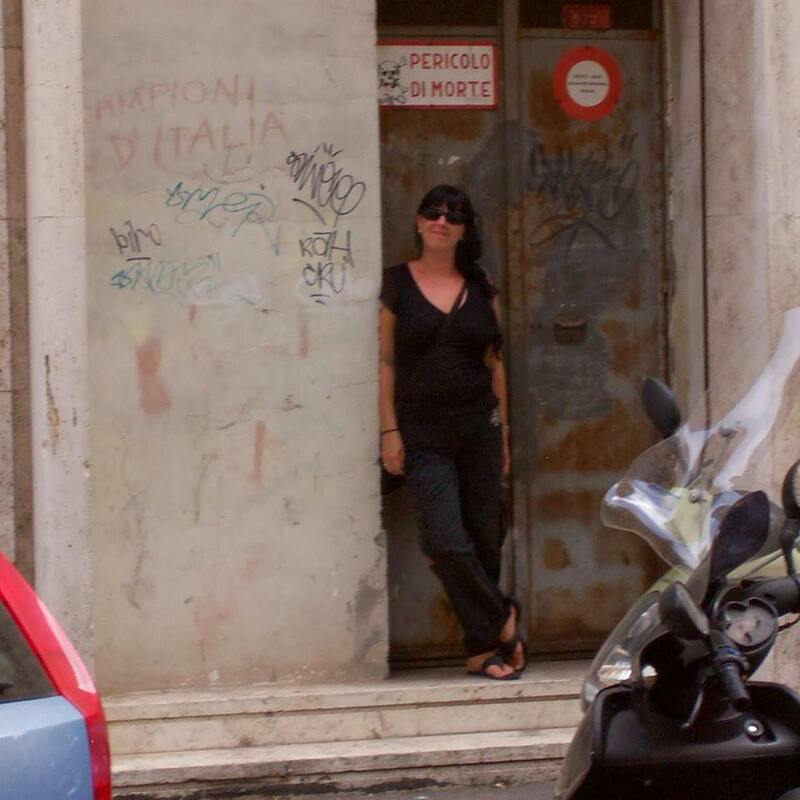 The leading artists in Rome at this time were hired to decorate the church. The facade was completed in 1683 by Carlo Fontana. 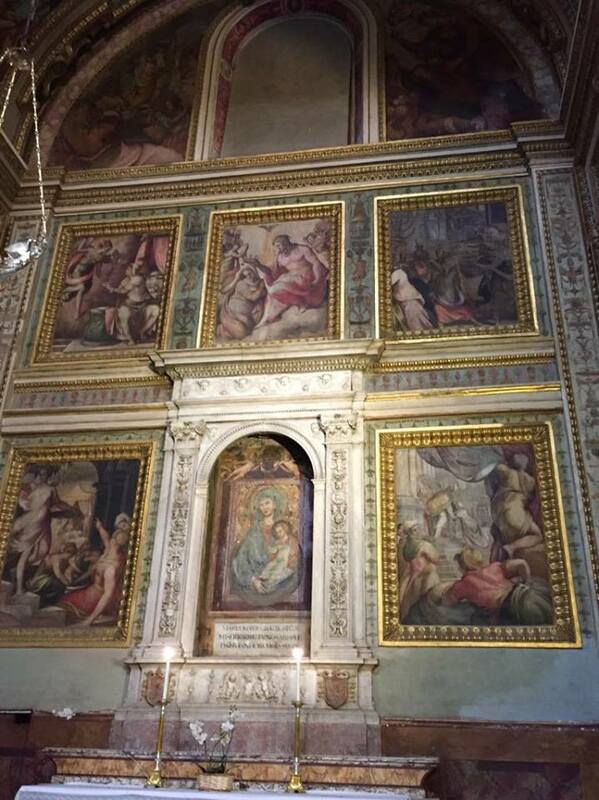 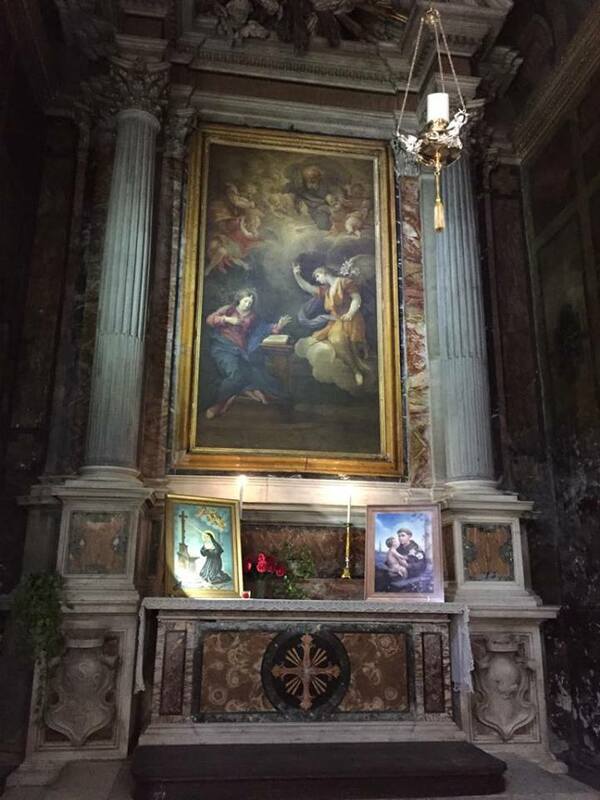 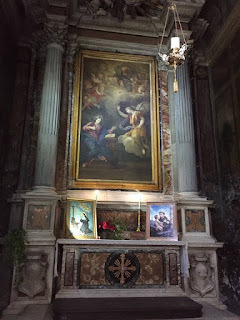 In the first chapel on the right is the Annunciation by Lazzaro Baldi. 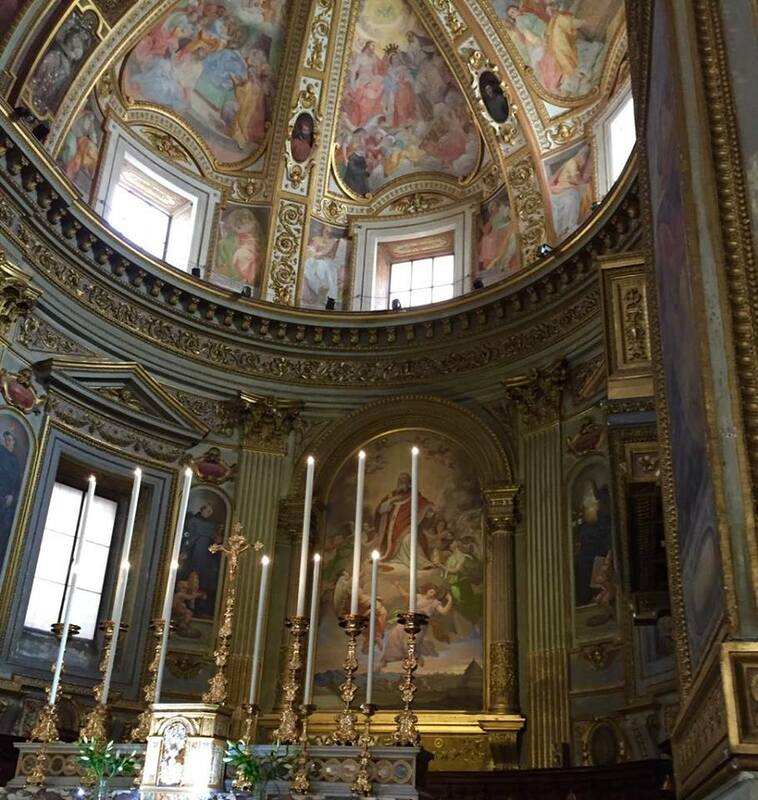 The fourth chapel on the left was decorated by Taddeo Zuccari and holds the crucifix that survived the fire.